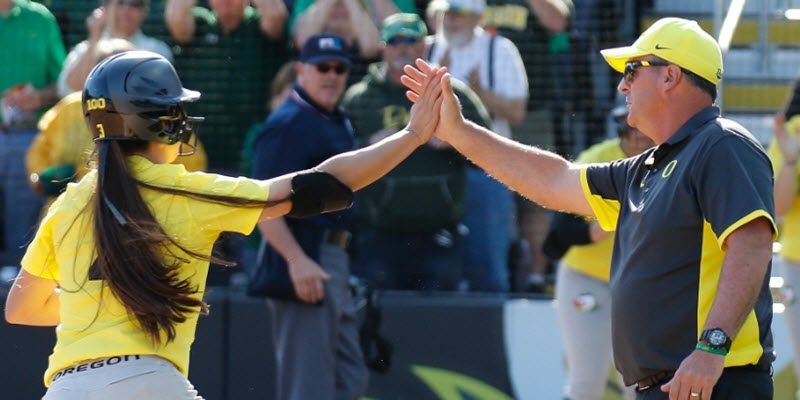 Was Oregon Softball Too Much Fun? I don’t know. I wasn’t there. But I have to wonder. 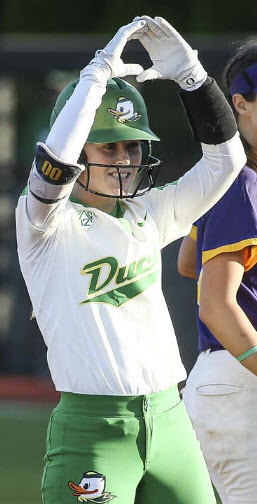 Under Mike White, Oregon Softball never won a national championship. 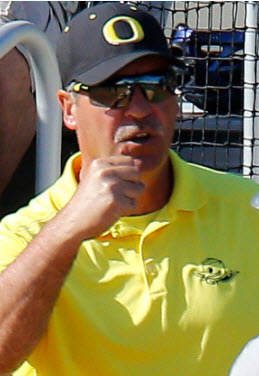 His teams consistently got to the Women’s College World Series, where they consistently lost games they were favored to win. Last year, they beat Washington in its own kennel three games in a row, and then left their bats at home when they got the dogs on a neutral site at the WCWS. I’m busy doing taxes this time of the year, so I don’t have time to look up the specifics of the post-season performances over the past few years. I will just say that I remember more disappointment than delighted surprise. And I’ll leave it to someone else to fill in the details in the comments. I did have a few minutes to look up some batting average progressions that warrant some thought. Classmates Gwen Svekis and Jenna Lilley played at Oregon from 2015 through 2018. Both hit .427 as freshmen. That certainly says something about White’s ability to recruit. But then as sophomores, Svekis hit .336 and Lilley hit .326. Their batting averages dropped again their junior years—Svekis to .309 and Lilley all the way down to .258. They rebounded their senior years: Lilley to .363 and Svekis to .324, but they still didn’t approach their freshmen numbers. Why the uptick? I don’t know. Maybe they were breaking out of prolonged slumps. Maybe it was a realization that the progression was hurting their draft stock. There’s obviously a lot more to the story and differing points of view. But I wonder why White’s teams folded consistently on the national stage. And I wonder why two top athletes would see their batting averages drop from their freshman year. I don’t pretend to be an expert here. My experience with softball is limited to beer league, co-ed, slow-pitch games my first summer out of college. Unfortunately, my season was cut short by a broken leg caused by a bad slide into second, so I’m not the expert I might have been had I finished the season. At least I was safe. One thing I’ve noticed about college softball is that the athletes seem to have a lot of fun. Whether it was swimming a 200-meter butterfly or running a marathon, my expectations for fun as an athlete were always pretty low, so I’m at a disadvantage in passing judgment on how much fun is too much. Softball is a world different from the rigors of swimming and long-distance running. “Play ball! ?” Yes, of course. But, “Play 200 fly!” or, “Play marathon!” No. Just no. It has to be a tough balancing act for a coach to infuse seriousness when competing against the expectation of fun. But there’s one thing that I’ve come to believe is common to all sports when practiced at a reasonably high level: the best rise to the occasion when put on the big stage. This doesn’t happen by accident. They spend their entire season preparing for it. It’s the heart of their team culture. It’s the identity of their coach. Often, the highest-achieving coaches have a reputation for being hard-asses. I can imagine that this could be quite the shock to the system for someone expecting fun. Apparently, Melyssa Lombardi isn’t fun enough. But in my mind the question remains: was Mike White too much fun? Spencer Thomas, the FishDuck.com Volunteer Editor for this article, is an attorney for the Social Security Administration in Atlanta, Georgia, and coaches High School Football for Hillgrove HS in Powder Springs, GA.